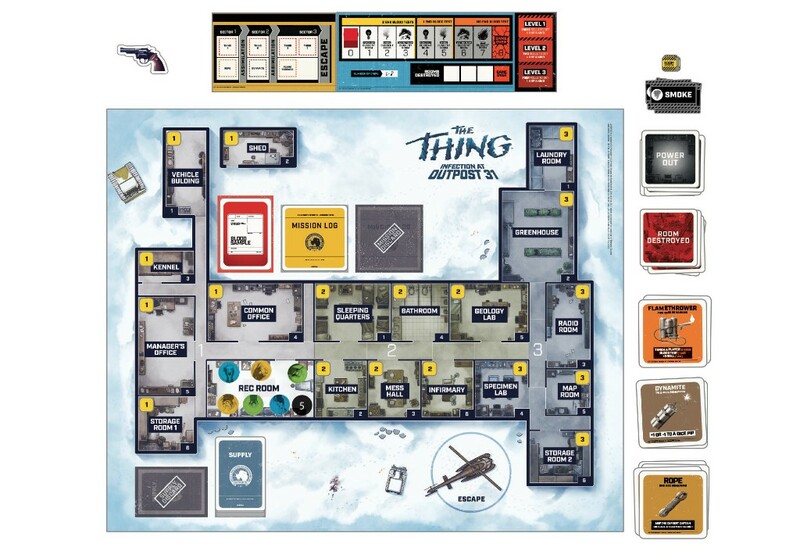 We’re thrilled to announce the release – and share a sneak peek at the design – for THE THING ™ INFECTION AT OUTPOST 31, our very first board game in collaboration with USAopoly’s designer games division, Project Raygun. The regular version of the game will be in stores and online nationwide this October, and a limited edition Mondo exclusive version will be available at MondoTees.com. Sign up for our INFECTION AT OUTPOST 31 newsletter HERE to stay up-to-date with release info. An alien lifeform has infiltrated a bleak and desolate Antarctic research station assimilating other organisms and then imitating them. 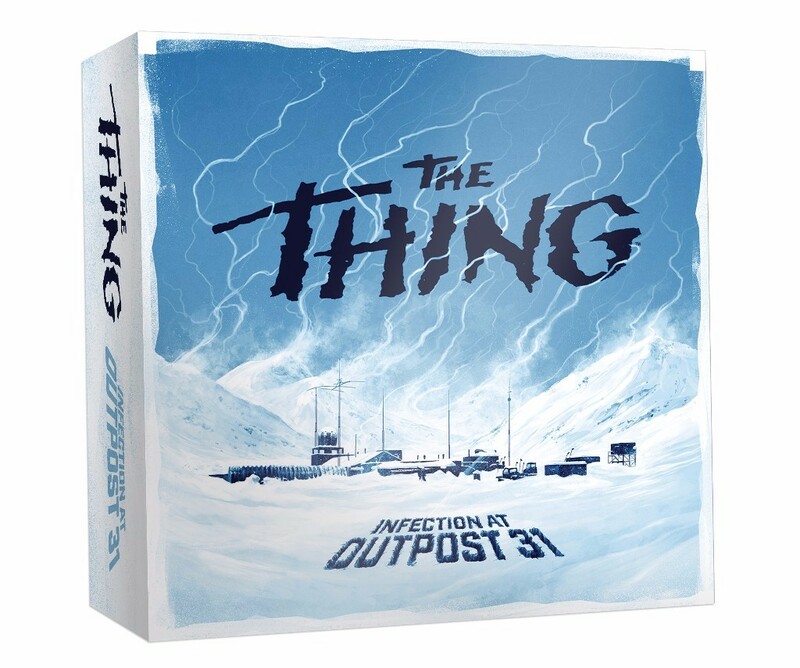 In the hidden identity game THE THING ™ INFECTION AT OUTPOST 31, you will relive John Carpenter’s sci-fi cult classic in a race to discover who among the team has been infected by this heinous lifeform. “Mondo brought more than their storied design acumen to the table,” said Joe Van Wetering, Creative Design and Game Development at Project Raygun. “Thanks to their deep understanding and reverence for THE THING, they helped define the tone and shape the game play itself. INFECTION AT OUTPOST 31 reflects a true collaboration between our two brands resulting in a game that will excite table top and film aficionados alike.” The regular version of the game features artwork and designs by Justin Erickson of Phantom City Creative. The Mondo exclusive version, sold exclusively through MondoTees.com, is limited to 1,982 copies, and features different packaging artwork by Jock. The limited edition game will also come with a Mondo print, enamel pin and two additional sculpted movers: the Norwegian character and the Palmer Thing.